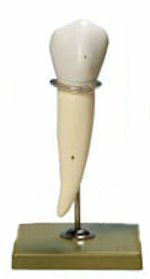 P3B-703 (PE-STP003) – Pediatric Tooth Brushing Model – 2 X Natural size. Made in unbreakable plastic and supplied with a tooth brush and metal articulator. Optional proxy brush may be included instead of tooth brush.